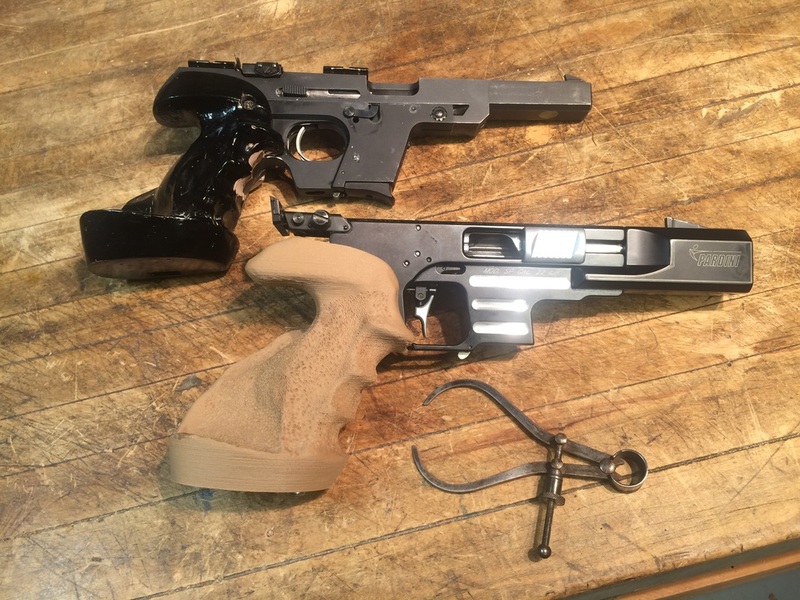 "Put This Grip on That Gun"
As part of our custom grip making service, we are often asked "Can you recreate my air pistol grip for my standard pistol?" We can do that! By borrowing your grip for a couple of days, we can scan it and recreate it via 3D printing for a different gun of your choice. Or if you're taking up cross training due to injury or if you've mastered your craft like Inigo Montoya, we can flip your right-handed grips to left. Or vice versa, of course. The black grip on the top left was created with wood, putty, paint and many hours of work. I scanned it and recreated it for a Pardini and printed it in the wood composite material. I even added some extra weight to the grip so that both guns now weigh the same and have a nearly identical feel in the hand. 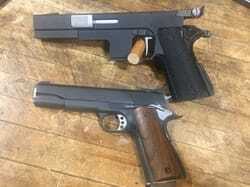 Below that is a 1911 grip recreated also on a Pardini. The bottom of the page is work done for a client who wanted to replicate the feel of his Sig 220 on a pair of air guns. Read his story here. If you plan to send a grip to me to scan, please let me know via email and I'll send your instructions on how best to send it.